This level has medium difficulty. For this level try to play from where more candies are available to play and make special candy. 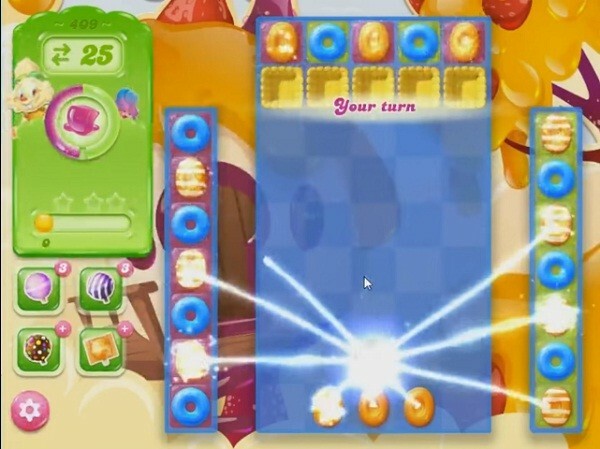 Combine them with other special candy to move break the candies that are in corner to spread the jellies. Mine too. And I’ve been playing it for ages and nowhere close ever to completing it. This level is not winnable if you don’t give the players an equal chance like your examples. None of the examples shows what we are playing, and the field we have is full of liqorice blockers!! Please change!!!!! It is true. all the examples I have found on line are not accurate. This level would be a cinch if appeared like it shows in all the videos.